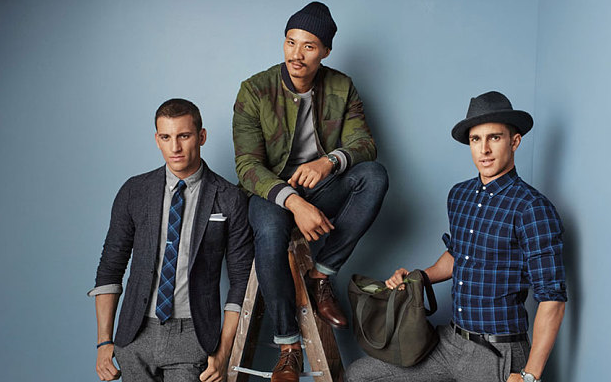 Gap released its fourth capsule collection designed by GQ's four Best Menswear Designers in America (2015) late last month. The collection will include tailored blazers, outerwear, classic and graphic tees, and etc. Along with our main clothing items there will also be several accessories available such as shoes, socks, and ties. What is great about this on going collaboration between these two companies is that designers get to come in and bring a new flavor and perspective for the brand GQ wrote a sneak peek post in August pinpointing the element that each designer brings to the collection. The Hill Side is Brooklyn based ran by two brothers who have a love for textiles. They have a knack for intricate detail and plan on producing the same quality for the capsule collection as they would their own brand. You can expect woolen sneakers, square bottom ties, and camo accents from this brand. NSF, founded in LA over ten years ago is ran by designers Nick Friedberg and Jamie Haller who both love vintage vibes and creating clothing items that are meant to be lived in. Their contribution to the collection will definitely embody that "SoCal" feel and we can expect distressed denim, chinos, and tees. Chris Stamp founded STAMPD--also in LA--and implements one of my favorite trends: athleisure. His clothing items can be used for a workout at the gym or a quick meal meet up with the guys. We can expect to see shorts paired with leggings, and the other casual but dressy elements that we love about athleisure. It's a trend that allows us to be relaxed while still looking put together (my favorite!). David Hart created his collection from a small tie that blew up into full collection inspired by the tailored fashion of the 50's and 60's. Tweed blazers, horizontal stripes, and retro polos will be some of the items inspired by this brand. Fellas how do you guys feel about this collaboration? What does this partnership mean to you? Does this collection make you look at Gap differently as a brand? Favorite items?